“On Wednesday afternoon, police forced open a home belonging to Craig Wright, who had hours earlier been identified in investigations by Gizmodo and Wired, based on leaked transcripts of legal interviews and files. Both sites have indicated that they believe Wright to have been involved in the creation of the cryptocurrency. Not much information is available about this situation at the moment, but it appears likely that the ATO would have an interest in whether Wright is, in fact, a billionaire. If the Australian did indeed found Bitcoin, it is likely he is sitting on a stash of Bitcoins worth more than $1 billion. It appears very likely that the ATO would be interested in determining whether he is actually paying tax on that huge capital gain. Typical Australian Government, trying to cash in ;-) If he had written an algorithm that revolutionised medicine, he’d be Australian of the year. If he advanced human understanding if mathematics he’d probably be ignored, then given a footnote somewhere. But because he did something that threatens the government’s control over financial systems they’re raiding his home. Hey, Australian Government, if cryptocurrrency is a good and subject to GST, how is he in violation of tax law unless he sells his bitcoin? Surely until that point his cryptocurrrency is ‘stock’ he has essentially created. Only when he sells that bitcoin and realises an income is there a taxable event. You can’t have it both ways – either bitcoin is a currency, in which case receipt of it is taxable and must be declared and is not a subject to GST, or it is a good, it is subject to GST, but it is not in itself income nor taxable. You opinion is similar to the ATO’s. According to the ATO website, I believe that he does not necessarily owe tax even if he had more than a billion dollars worth of bitcoin. However, he would be taxed if bitcoin was used to buy or sell more than $10,000 worth of goods or services, or if he disposed of the bitcoin (i.e. gaining cash). Just holding the bitcoin wouldn’t be taxed, but using it would be. What are the Australian laws surrounding BitCoin? Are the laws, if any exist, restrospective? He created something that, completely out of his control, is now deemed to have value, and it’s only relatively recently that there’s been state-based recognition of its value. That “someone” had in their possession the first million BitCoins has been known right from the start. I doubt, even if there are laws that have been created in regards to it, that there is a case to answer on his owning $1b worth of BitCoin. I’d be guessing that he’s in trouble with the ATO for reasons relating to his other businesses. Maybe the ATO has been looking into him for a while, and the person that claims to have ‘hacked’ him is actually part of the ATO investigation, hence their access to personal correspondence. Maybe ‘Satoshi’ knew the raid was coming and so leaked the info himself to cloud the case against him and / or get community support behind him as the creator of BitCoin. Equally as important, at least, is what are the Australian laws surrounding search and seizure? What legally allowed them to enter his home and remove items? Did they have a search warrant? Had he already been charged with something? If he was already/previously “in trouble with the ATO” then they should go public with this info or otherwise show cause for infringing his rights – at least to defend tax charges against him. Don’t they have to *request* tax documents before just taking them by force? Doesn’t he have the right to contest charges via his lawyer and normal legal/court means? They don’t even have any motive to want to tax him for anything unless he were to purchase something worth over $10,000 (whether it be material goods or exchange for cash) – and since BitCoin isn’t a legally recognised currency anyway, this is all reeks. Where is confirmation of his search warrant? 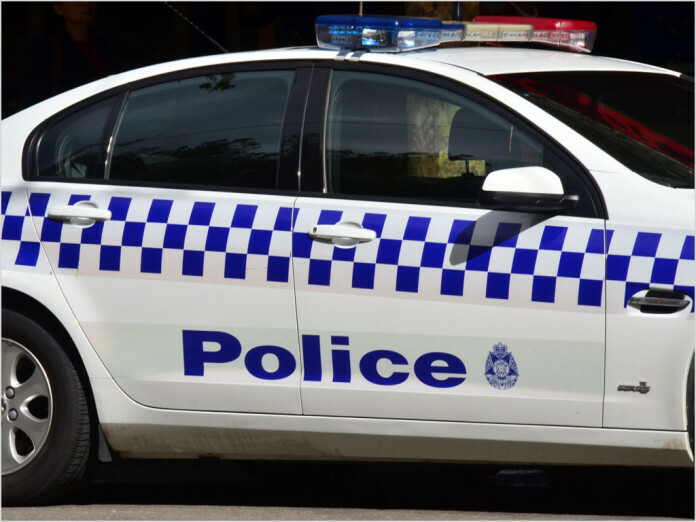 At this point I remain unconvinced the ATO is even involved outside of covering for an unlawful entry – it wouldn’t be the first time NSW police have conducted themselves illegally just recently. NSW Police Commissioner wants to terrorise us all, remember… this activity is HIGHLY suspect. It appears very likely that the ATO would be interested in determining whether he is actually paying tax on that huge capital gain. What capital gain? Did he sell them? Thought I would’ve heard by now if Satoshi’s coins had moved. Since when do you have to write information on your tax return about something that hasn’t happened yet? If you believe the naysayers, Bitcoin could be worth next to nothing when they are finally sold. Complete a metadata request form. Nah do it later…. Open SQL database and query metadata for any Gizmodo in Sydney area between 10 am to 12 pm.